A great example of one of these songs is Robbie Robertson’s ‘Broken Arrow.’ It’s a brilliant piece of work… and everything else Robertson ever did as a solo artist could be lost in a fire and I wouldn’t care a bit. 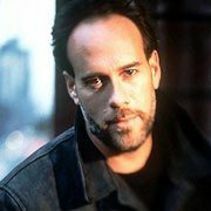 I don’t mean to diminish Marc Cohn by putting him in the same category, but I feel pretty much the same about his ‘Walking in Memphis.’ This is a superbly written and performed track. To be fair, I remember the rest of his self-titled debut album as awfully good, but I’ve long since lost the urge to ever hear it. But ‘Walking in Memphis’ is a keeper… the sort of song that feels like it was just waiting to be written. Cohn, incidentally, was shot in the head in 2005 during a botched robbery attempt in Denver. He survived without serious injury. I know what you mean about such songs, and I agree that “Broken Arrow” is a perfect example (not to offend Robbie Robertson fans). Since I discovered “Walking in Memphis” at the same time I discovered Marc Cohn, when he was performing a free concert on a floating stage in Tampa, the weekend Dana was taking the bar exam there, I don’t put this song in quite that category. For me, Cohn is a sound, and today’s SOTD exemplifies that sound. However, I will say there were few moments I loved as much as driving through Memphis for the first time with this song on the stereo. We’d been playing it for the kids in anticipation of our arrival, so when we were actually standing in the jungle room in Graceland and looking at the statue of W.C. Handy on Beale street was quite wonderful. For the kids, it was as though the song had been written for our trip. But for us to finally see that there were concrete places and things connected to the words we’d been singing since July of 1992 was particularly amazing. I always loved the song, but, after walking in Memphis, I love it even more. I really love this song. And while I did not have the same feeling walking in Memphis – probably because it was a business writers’ conference during the dreary, rainy season – I can hear this song on the radio and listen to it every time. The piano, voice and just the feel of the song are special. This is a neat song, and I agree it must have been fun Amy for you and Dana to hear it with the kids while you were on vacation and visiting all those places in the song. I love this song as well, and have affection for most of the album from which it comes. If you never heard Cohn’s second album, The Rainy Season, then I could understand relegating him to one song or one album status. But rainy Season is, for my money, a better and more mature album than the debut. Among many great songs, the emotional highlight may be the closer, “The Things We Handed Down.” one of the more touching songs from a father to his child. This is one of my very favorite songs and certainly cemented my love for Marc Cohn.